While Instagram did adopt the Stories format from Snapchat, the image-sharing platform has been building features to set itself apart from the latter. And in its attempt to do so, it is now testing a nifty feature that enables you to share other user’s public posts from the feed directly to your Instagram Stories. Instagram has confirmed to TechCrunch that it is indeed testing the ability to share posts to Stories, but this feature is currently limited to select users. Here at Beebom, we are running the latest Instagram beta app, but haven’t received the feature yet. 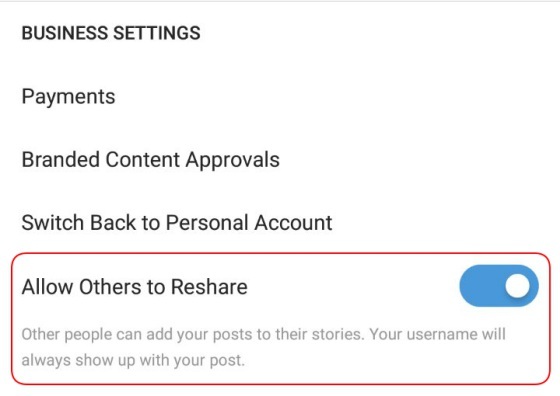 The ‘resharing’ feature will be enabled on public accounts by default, which means anyone will be able to share any of your posts to their Stories. But Instagram is not losing sight of the privacy implications and has baked in a toggle to disable sharing from the ‘Settings’ menu. Here, I’d like to point out that the regram feature (unofficial name) may be close to its roll out as the privacy setting has already gone live. On our Android devices, we found that the “Allow Resharing To Stories” option was available under the settings menu but the ability to share posts wasn’t enabled for us. However, app developer Zachary Shakked has received this test feature and shared many screenshots of how it will work on his Twitter. 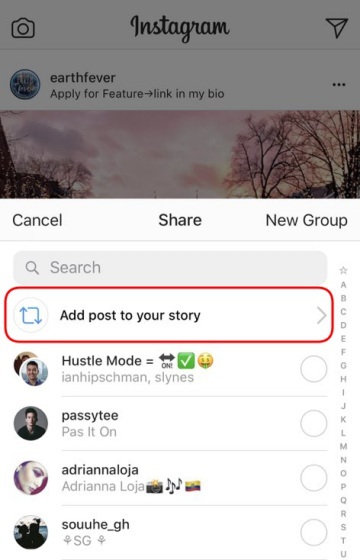 You’ll be able to regram a public post in the feed by tapping the ‘Message’ icon that we use to share posts via Direct Message, but you’ll now find a new ‘Add post to your story’ at the very top. Once you’ve selected to add a post to add your Instagram Story, you’ll find that you have all of the editing tools available at your disposal. This means you can jazz up a reshared post with GIFs, stickers, emojis, text and more. It allows you to add a personal touch to your Stories, instead of aimlessly distributing other people’s posts. One can say that it is one of the most-requested features because Instagram users have been adding screenshots of posts or memes to their Stories. The resharing feature gives you a simple solution, while also presenting you with yet another creative outlet. So, how do you plan on using the resharing feature in your Stories? Let us know in the comments section down below.